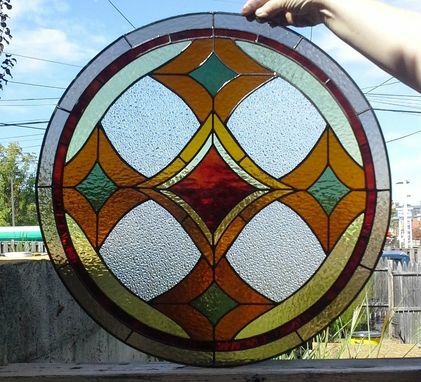 -Stained glass Panel - "Amber & Grey"
This time we used clear sparkle glass for the 4 large background pieces. 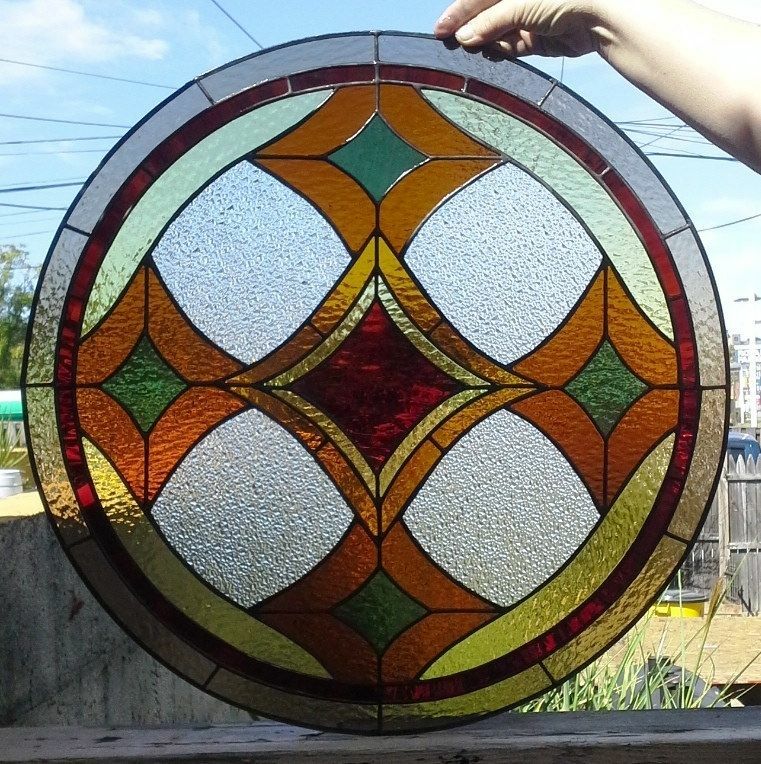 A red amber mixed waterglass for the center star and the narrow inner border. 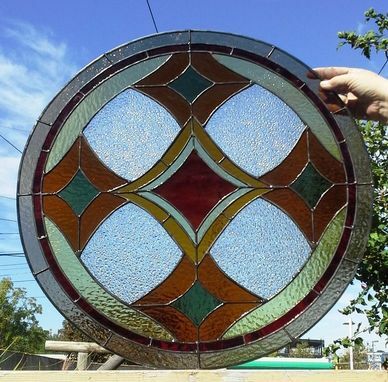 We also used dark amber with olive green enters for the 4 stars and a pale amber for the pieces that surround them. 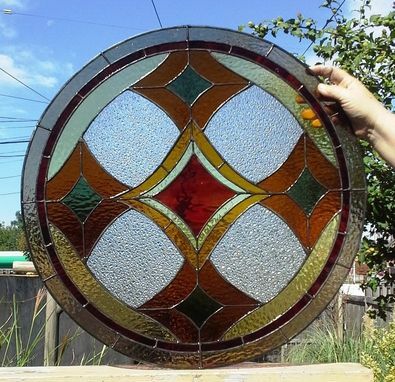 A meduim amber was used for an accent color around the center star and finally a bronze rough rolled glass was used for the outer most border. 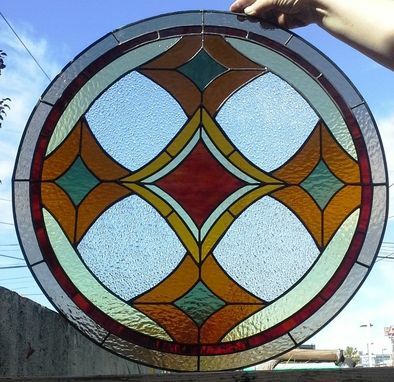 If you saw the links above and you declare yourself as a fan of this design, what are you waiting for having a piece in the colors and size you want?